A hunk of beef/lamb/chicken/other meat revolving around a greasy electric spit, every so often the shaver takes a couple of slices off and it’s dropped into the hot hold tub. There it waits for the next batch of chips, with maybe some salad and chilli sauce. That is the Doner kebab we’ve grown used to, the elephant leg of mechanically reclaimed mystery meat that graces every chippy across the land. Delicious when you’re in the right mood but in these ever more enlightened times, probably a crime against good food. We didn’t know any better. As far as I know, before Istanbul Restaurant opened in Handsworth Wood around November 2014, there were no Turkish restaurants in Birmingham but with our recent influx of people from that region, we’re now getting the real flavour. 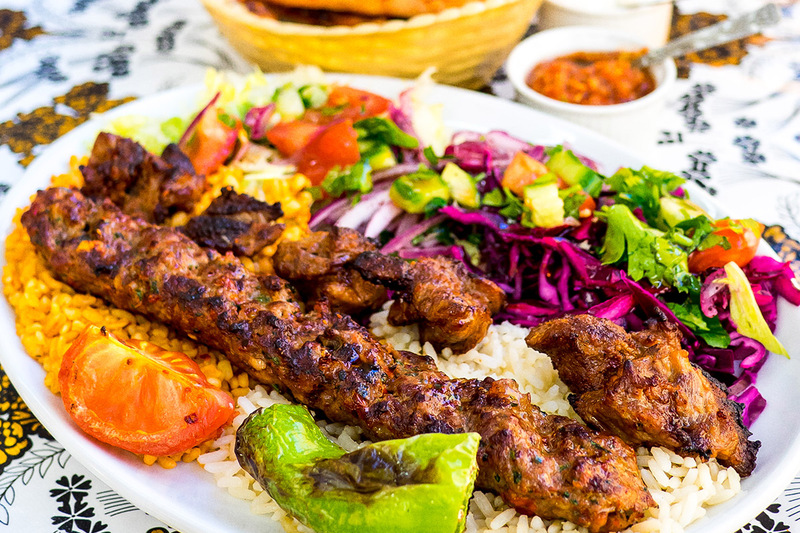 This is a roundup of my favourite Turkish and Middle Eastern grill restaurants, cafes and their kebabs. I’m not getting into Pakistani and Indian kebabs. I haven’t got all year. Let’s get something clear first; a proper kebab is grilled over coals. The meat and veg picks up all the sweet smoky charred flavour and infuses each dish with a little magic. 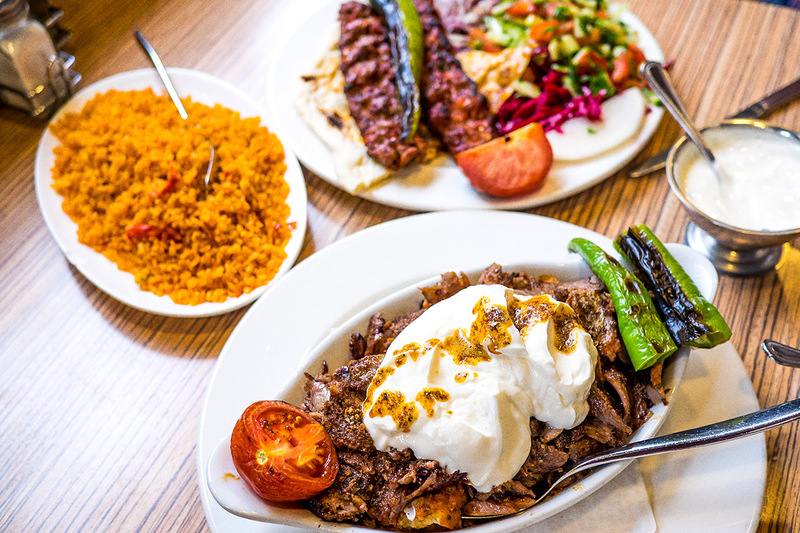 This magic can be seen first hand at the Turkish Kurdish grill ‘ocakbasi’ in Nemrut (which confusingly used to be called Nemrut 2), Handsworth. 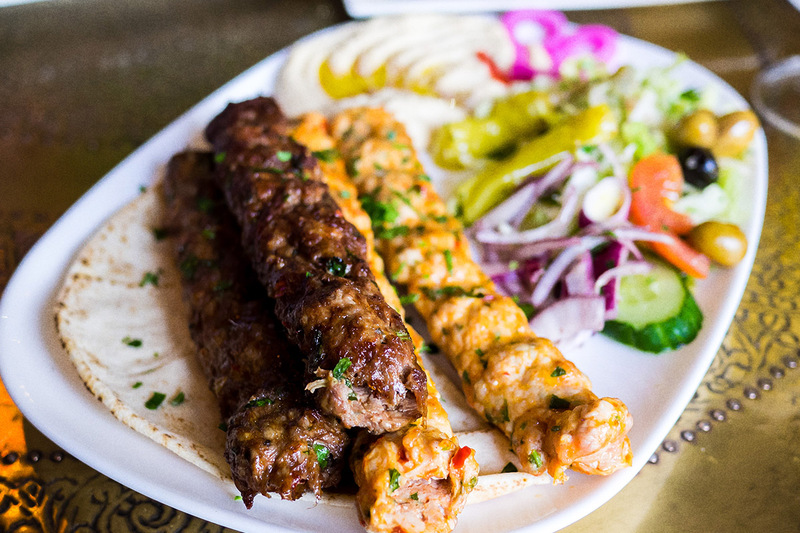 When you order the aubergine kebab, they cut a large aubergine into thick slices and alternate big chunks of lamb kofte onto a skewer before grilling. The aubergine picks up all the smoky flavour like a sponge and keeps the kofte nice and juicy, the whole lot is finished in the oven before smothered in a garlicky fresh tomato sauce. I live in the South Birmingham and it’s worth the crosstown traffic north just for this kebab. 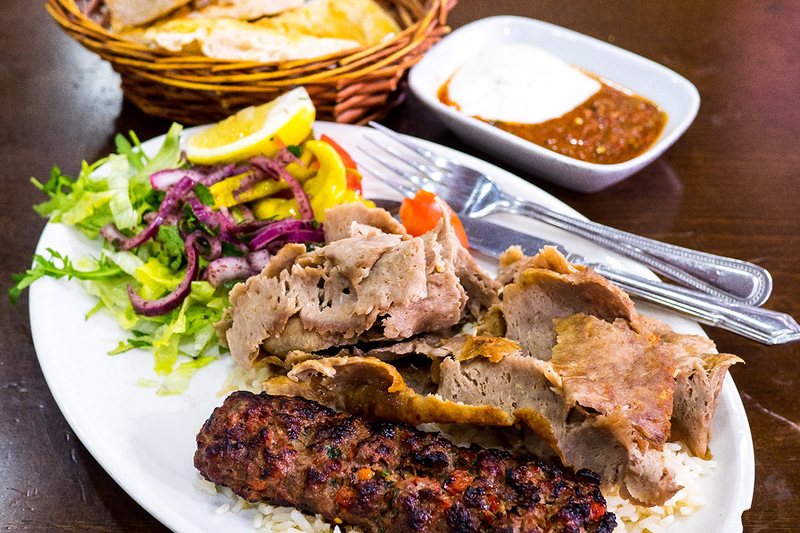 I always order the Adana kebab too, juicy lamb mince spiced with chilli and formed around large flat skewers. Breads from the Kurdish bakery next door are always fresh and the restaurant is big and comfortable. Being secular, Turkish beer Efes is available but I like to drink Turkish tea which is free. Lokman Sofrasi on the Dudley Road was the original Nemrut restaurant. Their menus are actually identical, so any difference in the food is down to the chef. The Adana kebabs here are even better than those at Nemrut, less spicy but better seasoned and even juicier. 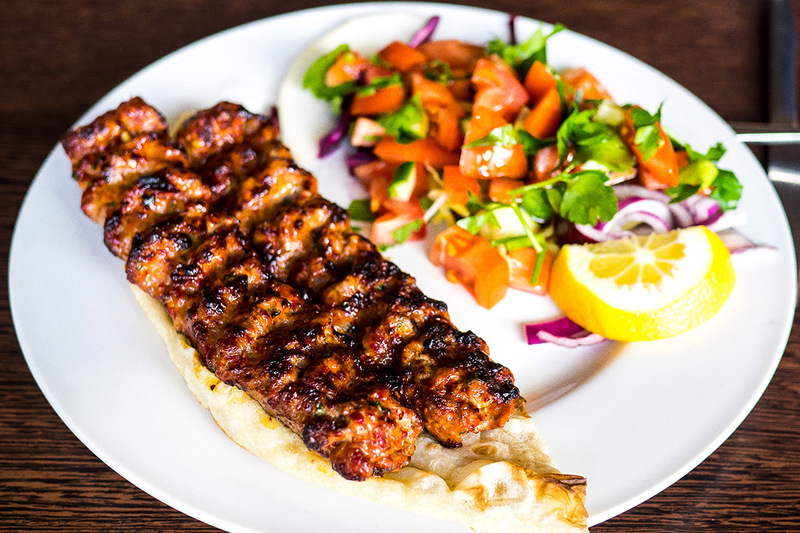 It may just be the best kebab in Birmingham. The Iskender kebab is an authentic Turkish creation of doner meat and yogurt on top of chunks of bread that soaks up all the meat juices. 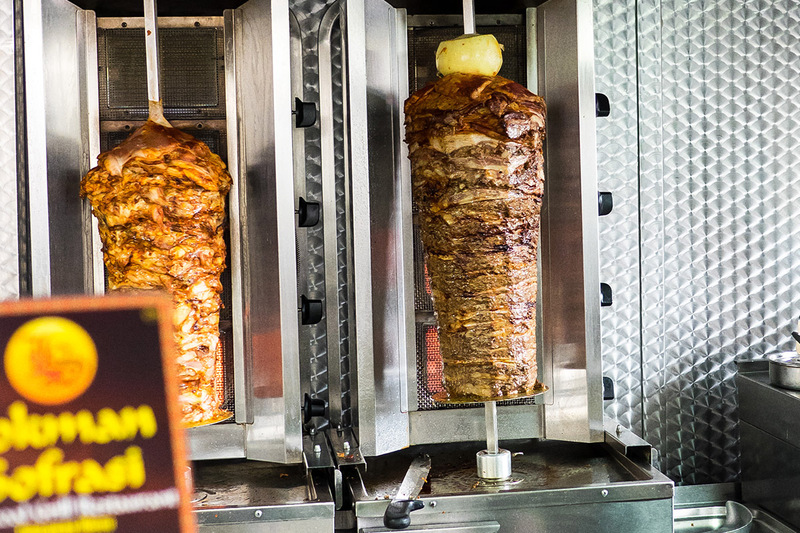 It’s better than it looks, because they make their own doner kebabs from actual pieces of lamb like a shawarma. You can tell the difference from those made in some Small Heath factory that all the chippies use. Here, as in Nemrut, the salads are freshly chopped to order, fresh and perfect balance to the grilled meat and bread. On Smallbrook Queensway around the corner from Chinatown, Rod Roj has probably the rudest angriest men on any Birmingham grill, Turkish or not. Seriously if they didn’t serve such great food I wouldn’t step foot in this cafe. But greatness is here. For £7.99, you have the ideal meal, grilled meat, rice, salad and bread that’s been crisped up with extra butter in their pizza oven. Avoid the doner, it’s one of those crap ones. Go for any of the proper kebabs, Adana, shish, lamb ribs, chicken wings are all grilled expertly. The portions are slightly smaller than Nemrut or Lokman but big enough to satisfy any appetite. This Turkish cafe on Kings Heath high street, like Rod Roj, also does pizzas so you may dismiss it as just another cheapo pizza joint. But if you step in then you’ll see the charcoal grill and realise it’s the real deal. For £7.99 you can get a combo kebab meal that includes both bulgur and rice, salad and bread. The Adana here is bigger than Rod Roj and just as tasty. The shish kebabs in all these places are always a little tough and overcooked in comparison. Every suburban high street needs a proper Turkish grill, lucky old Kings Heath seems to be the first south side to get one. The original Al Bader in Small Heath has duplicated itself on Ladypool Rd in Sparkbrook. The Lebanese and pan­Arabic menu wanders around North Africa and the Levant with tagines here and ful medames there. The mezzes and flatbreads are delicious, smokey aubergine dips, creamy hummus and bright pink pickles that mark out its Lebanese origins. I love everything about the restaurant, the Arabic decor especially, everything that is except the grilled meats. They’re a little bland when compared to their Turkish counterparts. The chicken kofte is more flavourful and juicy than the lamb which should never be the case. I find myself drifting further down the Ladypool rd for kebabs to Antep, another Turkish restaurant but one which falls slightly short of Nemrut/Lokman standards. Like an Iraqi Kurdish greasy spoon, Sara has been feeding our city’s minicab drivers since 2007. When you sit down you’re presented with a small bowl of lamb broth, a nice homely touch. The style is very different to the newer Turkish Kurdish restaurants. The minced kebabs are thinner and more finely ground with an earthier spicing. They come atop a huge mound of yellow biryani rice (that tastes exactly like my Pakistani neighbour’s biryani, which is a good thing), naan, salad and a hot side dish. I usually get the okra. Cheap chilli sauce and yoghurt condiments marks this place down but for £6.99, this may be the best value meal in the whole city. If, you can overlook the slightly grubby feel of the place. If you want to sit down and have a nice meal out then Nemrut and Lokman Sofrasi are the ones to choose. The Adanas here are the best in the city and the portions generous. Nemrut is the bigger and slicker restaurant, I love watching the chef using the open grill. 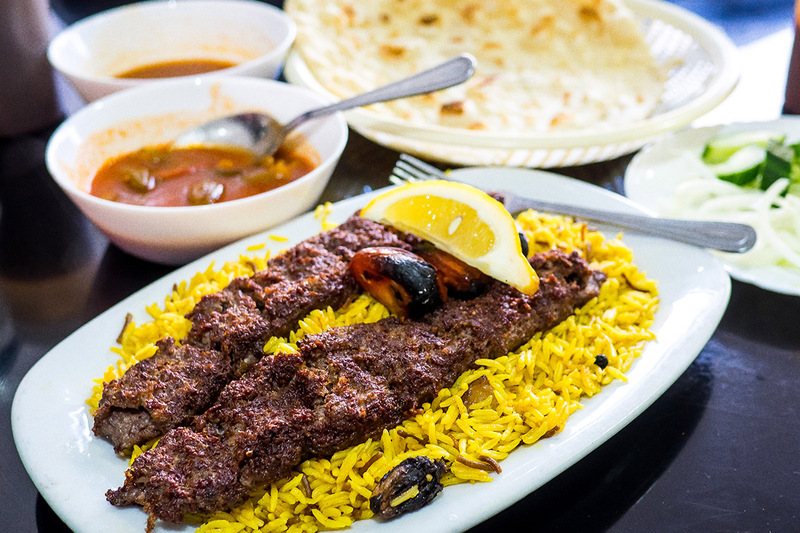 Rod Roj is a great choice if you’re in town looking for a quick fix in any cuisine not just kebabs. You don’t ever have to resort to that greasy yet at the same time dry as sandpaper doner kebab after a night out. Some tasty grilled meat, fresh salad and bread. Treat yourself good.